Trusted publisher, content producer and developer of clinical support tools and educational resources. The recently sold out International Forum in Melbourne, Australia connected over 1,500 healthcare leaders and practitioners from over 35 countries. BMJ Masterclasses host a series of one and two-day clinical update courses and live interactive webinars to help busy doctors keep up to date with the latest evidence-based medicine, new guidelines and best practice in important primary and secondary care topics to improve patient outcomes. Content is produced by a dedicated team of clinicians to meet the changing needs of primary and secondary care doctors. Delivered by expert clinicians, our case-based sessions are full of advice, take home tips and practical demonstrations to help delegates make significant improvements to their clinical skills, patient management and general knowledge whilst earning required CPD points in preparation for appraisal and revalidation. Give you a unique environment in which to build long term relationships with a key audience. Engage with over 200 delegates in a highly respected educational environment where learning and evidence based medicine are the core attractions. The International Forum is where you can connect with healthcare leaders and practitioners from around the world. Each year, hundreds of thousands of delegates come together to share the practices that are improving outcomes for patients and communities worldwide. 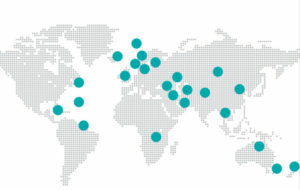 More than 1,200 delegates have already registered to attend our fifth International Forum in the Asia-Pacific region. Register your place or present your poster and discover the latest topics that can help solve regional needs, as well as more global challenges. Register your interest for this year’s International Forum on Quality and Safety in Healthcare. The BMJ Awards are the UK’s leading medical awards that promote excellence in healthcare, showcase inspiring practices that will inspire others, and give exposure to frontline staff who show determination in overcoming challenges. VIEW THE SHORTLIST AND BOOK YOUR SEAT. From national media attention, potential funding, speaking opportunities to permanent placements and peer recognition, the benefits for finalists and winners are far-reaching. Find out what it means for teams who win. Become a sponsor! Very few opportunities exist for companies to make a tangible difference to the wider society within which they operate. The BMJ Awards is one such occasion. Each year it attracts category sponsors, who benefit from the brand recognition that only a major publisher can provide. Find out why MDDUS chose to be a loyal sponsor for eight years. For the 11th year, The Awards will take place in the Park Plaza Westminster Hotel, London on Wednesday 24th April. Don’t miss out on one of the most exciting and inspiring evenings of the year. Book your seat here today. BMJ Awards South Asia brings a diverse and egalitarian mix of categories spanning healthcare quality, medical education, technological innovation and research, and clinical excellence. to the forefront of celebration. The winners and finalists of these categories will be recognised and awarded for demonstrating the potential to influence change and improve health outcomes in South Asia. Join India, Sri Lanka, Nepal, Bangladesh, Pakistan, Bhutan, Myanmar, Maldives to celebrate excellence in healthcare. Or call us at +91-120-4345733 – 38 (09:30 AM – 05:00 PM). Do you have an interest in leadership? 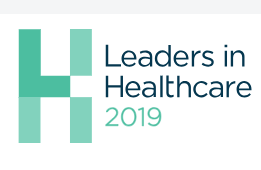 Discover the latest ideas and innovations in medical and healthcare leadership and management at this year's three-day conference. Learn about how to overcome future challenges in healthcare. Improve your leadership effectiveness by participating in interactive workshops. Meet other healthcare leaders working across all specialties and career stages. Discuss and share ideas that improve healthcare delivery in your workplace. Network with healthcare leaders from across the UK. Listen to valuable advice by attending sessions run by senior speakers and thought leaders. Get to know the real needs of doctors and healthcare leaders. Find out about opportunities that can support medical and healthcare leaders. BMJ Live is the new two-day conference brought to you by BMJ Careers Fair and BMJ Masterclasses. This event is for all clinicians, offering updates on the latest evidence and guidelines, tools for taking control of your practice and advice on career development. BMJ Live has a multi-streamed programme for both general practitioners and clinicians. It is where you can find the latest guidelines, evidence and best practice. Get personalised help for workload and resilience. Book a stand or sponsor the event by contacting us today. Scenario planning is our innovative and creative way of exploring a rapidly changing industry and environment, and we have developed four plausible but challenging future scenarios that have helped us view the landscape we operate in through different lenses. One of the world’s most cited general medical journals, The BMJ has built a reputation for challenging inadequate, unethical or outdated practice. It has an impact factor of 23.562 (ISI Web of Science, 2017) and is ranked fourth amongst all general medical journals. The BMJ is available online at bmj.com, offline via apps for smartphone and tablet, and in print editions for the UK and International market. Available via a smart new app, The BMJ offers healthcare professionals worldwide the latest research, news and opinion. The BMJ’s website (bmj.com) attracts 2 million unique visitors each month, 75% from outside the UK. It has 18.2 million page views per year! We also print over 100,000 copies every week to send to BMA members and subscribers everywhere. Four editions are available: Clinical Practice, General Practice, International, and Academic. We work in partnership with Royal Colleges, scholarly and professional medical organisations across the world, to publish the best available evidence in the most influential titles. Nearly half of our 60+ indexed journals rank within top 10 of their category. 58% of our indexed journals are in the top quartile. In the last year, 36 million unique users accessed our journals online, generating 54 million page views. Student BMJ is the go-to resource for students who aspire to be safe and competent junior doctors. The journal supports students every step of the way, from applying to medical school to qualification and the transition to junior doctor. Student BMJ offers practical advice about student life and career development, alongside education and research resources to help students confidently apply theory into practice and pass exams. Publishing all that a student needs to know, including what they just don’t teach at medical school, Student BMJ is an essential resource for medical students throughout their education. An international medical journal for students interested in medicine, published 3 times per year. The BNF is published jointly by the British Medical Association and the Royal Pharmaceutical Society under the authority of the Joint Formulary Committee. Compiled with the advice of clinical experts and available in a variety of formats, it is an essential reference which provides up-to-date guidance on prescribing, dispensing and administering medicines. BNF for Children is published jointly by BMJ, the Royal Pharmaceutical Society, the Royal College of Paediatrics and Child Health, and the Neonatal and Paediatric Pharmacists Group and presents essential practical information to help healthcare professionals prescribe, monitor, supply, and administer medicines for childhood disorders. We work with regional counties in the UK to help achieve success with their recruitment campaigns. We can help you too. *According to independent research by Kantar Health in 2014. BMJ Careers features a comprehensive listing of jobs for doctors and medical professionals. It covers the entire UK medical sector and features vacancies from around the world. “As a long standing supplier of locum and permanent doctors to the NHS and further afield, it is vital we use effective recruitment channels. Over the years BMJ Careers has always been our first choice, both for the level of response and the good standard of doctors it brings to us. It’s promotion worldwide is a particular benefit we rely on.” Medic International. Patchwork is recruitment software for the NHS. It helps hospitals better manage demand for NHS temporary staff (locums) with instant shift bookings that increase staffing levels, improve patient safety and significantly reduce their reliance on recruitment agencies. We have invested in Patchwork the health app through our BMJ New Ventures initiative which was developed so we can work with healthcare startups and doctor entrepreneurs who share our company values to help solve problems and improve healthcare. Find out more here. For locums: Have your entire NHS bank work at your fingertips. Book shifts instantly, track your payments and earn extra money all with the Patchwork App for locums. For employers: Enable your Staff Bank to recruit faster, save your NHS trust millions by reducing agency spend and improve patient safety. Chelsea & Westminster NHS Foundation Trust implemented Patchwork across both hospital sites. Since implementation, they have maintained an average bank vs agency fill rate of over 90% across all departments and medical specialities. BMJ Best Practice is an award-winning online decision-support tool for use at the point of care. Structured around the patient consultation, it presents the required information just as it’s needed. The tool is regularly updated, and draws on the latest evidence-based research to offer step-by-step guidance on diagnosis, prognosis, treatment and prevention. It fits information around real, diverse and evolving medical information needs to give you a second opinion in an instant. An independent evaluation of web-based point-of-care information summaries was conducted by the Journal of Medical Internet Research screened 58 products; of which 26 met the inclusion criteria. It concluded that BMJ Best Practice …. scored the highest across all dimensions, while others that were marketed as evidence-based were less reliable. Awarded accreditation by the Royal College of General Practitioners. Serves more than 100,000 registered users from 750 customers in over 60 countries. Over 1,010 assessment, condition, and overview topics. Over 3,500 images and 6,000 workflow and action orientated guidelines for intuitive use. Available in two languages: English and Brazilian-Portuguese, and search enabled for over 60 languages. clinicians through the diagnosis and management of common symptoms and conditions. Guide: this frequently updated and integrated clinical decision support tool can be localised. Health systems strengthening: task-shifting, task sharing, and addressing lack of supplies. Monitoring and evaluation with audits and further research. Developed by the Knowledge Translation Unit, University of Cape Town Lung Institute and distributed worldwide by BMJ within lower- and middle-income countries. 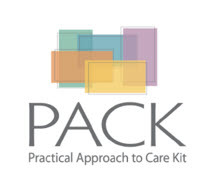 Help improve global health by introducing the PACK programme in to your healthcare system. Contact us today to find out how. Health professionals are the first line of defence when it comes to detecting infectious diseases. A robust and resilient health system will be better prepared to manage outbreaks whilst at the same time continuing to maintain core healthcare functions. The BMJ Clinical Decision Support Training Initiative is our flagship global health programme. It supports biosurveillance and builds health system capacity and resilience through workforce development. The initiative equips healthcare professionals with our evidence-based resources, BMJ Best Practice and BMJ Learning, to improve their ability to detect, diagnose and manage infectious diseases as well as non-communicable diseases. The Clinical Decision Support Initiative supports over 12,000 registered doctors across six countries with clinical decision support and educational resources. More than 800 hospitals, clinics and medical universities benefit from the BMJ resources through the CDS training initiative. Educational content has been translated into five languages. Over 18,000 BMJ Learning modules have been completed, improving users’ knowledge on topics such as measles, influenza, and diabetes. 32% assessment increase scores: BMJ Learning users scored an average of 83% after their modules, compared to just 51% during pre-assessment. BMJ Learning and BMJ Best Practice are accredited providers of continuing professional development credits in Ukraine, Georgia and Azerbaijan. Our online revision and learning tools are used by over 700,000 healthcare professionals worldwide. BMJ Learning features over 1,300 evidence-based, peer-reviewed learning courses across 70 specialty areas, in 14 languages. It is also accredited in more than 80 countries. BMJ Learning is a reliable online learning resource that helps doctors and healthcare professionals to enhance their knowledge and progress their careers. It is one of the world's largest and most trusted independent online learning providers for medical professionals. 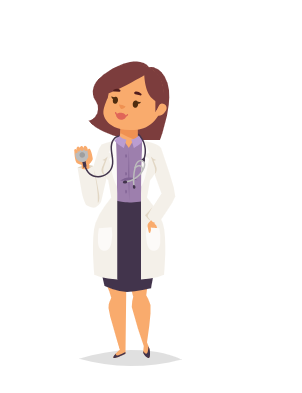 Subscription can be arranged as a key benefit for students and healthcare professionals by their medical associations, hospitals, academic institutions and health ministries. Quality exam revision questions that match the current curriculum, test and increase medical knowledge as well as improve exam aptitude. Our expert clinical team have been writing medical revision questions for the last 15 years so can provide exactly what students need to fully prepare for their exams. BMJ Portfolio is a free, secure and easy to use resource to assist doctors and other healthcare professionals track and record their CPD/CME credits. This sophisticated tool’s functionality includes the ability to add documents and websites for planned learning activities; tags and filters to organise CME/CPD credits and reporting in PDF or Excel format. Our research methodology and publishing programme is a set of stand-alone, self-study modules which help you to choose what to study, at your own pace. Designed in collaboration with University of San Francisco, California (UCSF) the eight courses focus entirely on a healthcare research cycle. They will help you improve your research and publishing skills. We hold several webinars a year, with international experts discussing latest research and developments. These webinars use BMJ Best Practice and BMJ Learning in practice to further your education. 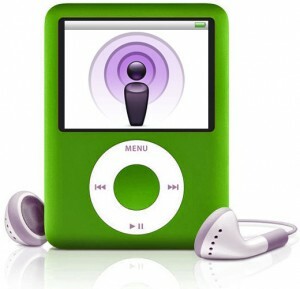 You can also listen to the latest podcasts from your favourite journals. Click here to discover and listen. If you have any problems registering or attending the webinars, or have any questions, please email Ali Boukabache. Make the most of your subscription. 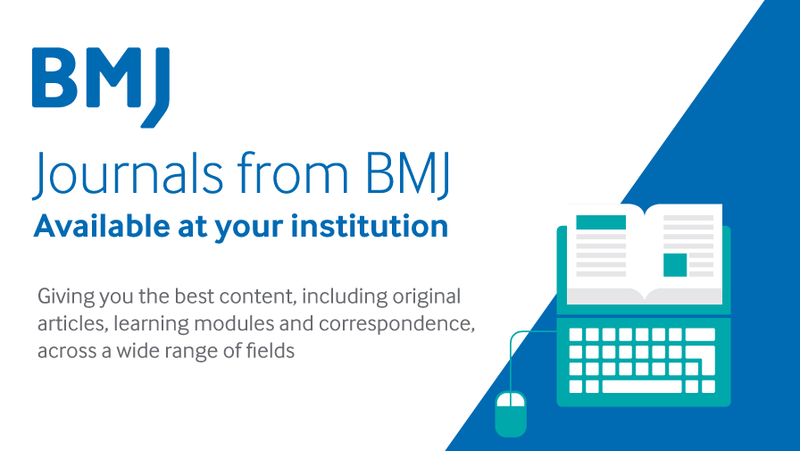 The Resource Centre helps you easily locate the latest material to raise awareness of your BMJ subscription to your institutional users. Use this form to ask general questions, request usage reports, access codes and training. 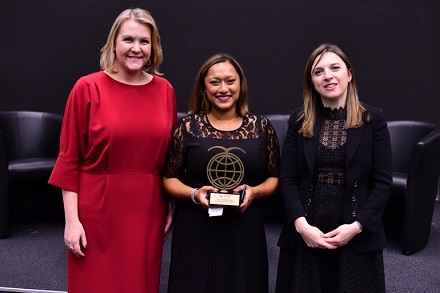 BMJ wins Geneva Centre for Security Policy’s 2018 Prize for Innovation in Global Security. Our winning submission: Clinical Decision Support and Training Initiative improves pandemic detection, diagnosis, management, and prevention. It does this by strengthening global health systems in the long term and helps to prepare healthcare professionals for epidemics, in alignment with the World Health Organisation. We do this by working collaboratively across sectors and across nations to tackle emerging diseases. Find out more here. The BMJ Technology Assessment Group is one of the 12 Centres of Excellence for Health Technology Assessment (HTA) commissioned by the Department of Health National Institute for Health Research (NIHR). In this role we conduct independent scientific research to evaluate health technologies for the National Health Service (NHS). We specialise in evidence synthesis and modelling to help healthcare policy makers make informed decisions. Our areas of expertise include meta-analysis of unbiased clinical data, economic modelling and budge impact analysis. We give an interpretation of research and its application to clinical practice. Follow us on Twitter or LinkedIn for the latest updates and vacancies. BMJ Quality & Safety (previously Quality & Safety in Health Care) provides a rich mix of news, opinion, debate and research for academics, clinicians, healthcare managers and policy makers. It encourages the science of improvement, debate, and new thinking on improving the quality of healthcare. BMJ Quality Improvement Reports publishes quality improvement work, original research and reviews. The online-only, open access journal covers all aspects of quality and patient safety in healthcare. We publish a wide range of articles including; quality improvement projects, research, original articles and quality education reports, amongst others. On our website, you will find a wide range of resources to support you in your quality improvement work such as videos, blogs, podcasts and templates to help you run and write up quality improvement projects here. The UK Health Alliance on Climate Change brings together the UK’s leading health institutions, doctors, nurses and other health professionals to advocate for responses to climate change that protect and promote public health. Visit the website and sign up to our newsletter. Content from across BMJ can be licensed, photocopied or reprinted for your specific needs. We welcome proposals for new local edition projects in print or online, in translation and English language in all territories. We are also interested in hearing new ideas and ways to present our products and content in different markets. Rights are available to licence content worldwide from over 70 specialist medical journals, many of which are leaders in their field. 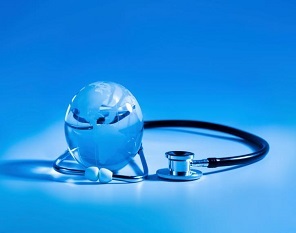 At BMJ, we want our journal content to be available for the medical community worldwide. We offer a comprehensive suite of licensing services to meet the needs of institutions, healthcare companies and publishers worldwide. Reprints of original articles from The BMJ, Journals and evidence-based journals, are a cost-effective and authoritative way of providing information on advances in medicine and new therapeutic areas. Did you know that The BMJ online alone receives over 2 million page impressions per month from more than 900,000 users? We can give you direct access to healthcare professionals through a range of channels and bespoke opportunities. We can also help you target clinical specialists, medical students, allied health professionals, managers and key decision makers. Find out more by visiting our dedicated advertising and sponsorship section.